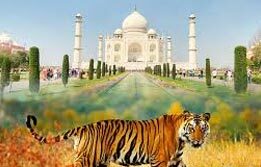 Most tourists imagine India tour with a visit to Taj Mahal. Inexplicably the icon of India, this famous mausoleum is the crown of architectural wealth the country is known for. 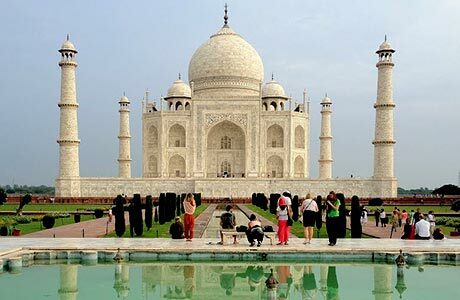 See the Taj Mahal is one such itinerary allowing tourists to discover the Mughal remnants of Agra. 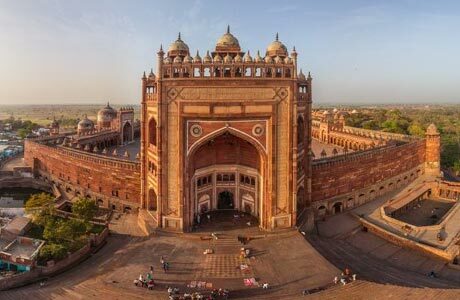 With Taj Mahal, tourists get to see the other important Mughal structures in the form of Sikandra, the tomb of Akbar the Great, Agra Fort, Itmad Ud Daulah and Fatehpur Sikri during this heritage itinerary. Four world heritage sites are included in this tour to make this experience truly worthwhile for you. Upon arrival in Delhi, meet India Budget Tours representative who will assist the transfer to the pre-booked hotel for overnight stay. After a fortifying breakfast at the hotel; begin a full day Delhi city tour. First visit the old section of the city, via visiting city’s architectural showpiece, the Red Fort. Built by fifth Mughal Emperor Shah Jahan, this is the most opulent fort of the Mughal Empire, commemorating the shifting of capital from Agra to Delhi in the seventeenth century. The fort’s Lahore Gate faces the bustling Chandni Chowk, the old bustling market of the old city. After rickshaw ride to the Chandni Chowk, visit Raj Ghat, the memorial to Mahatma Gandhi, laid out at his cremation site. After lunch, continue the tour through New Delhi, designed and built by Sir Edward Lutyens as an "Imperial City." 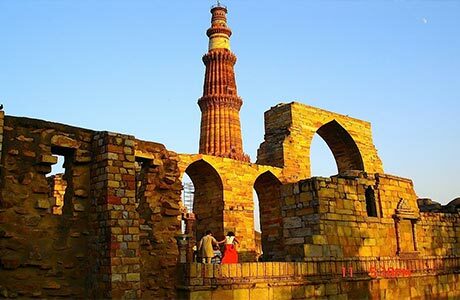 Begin the drive past through Delhi's main avenue, the Rajpath, and see the India Gate and the imposing Presidential Palace or Rashtrapati Bhawan before stopping to visit Qutab Minar and Emperor Humayun's Tomb. Overnight in Delhi. 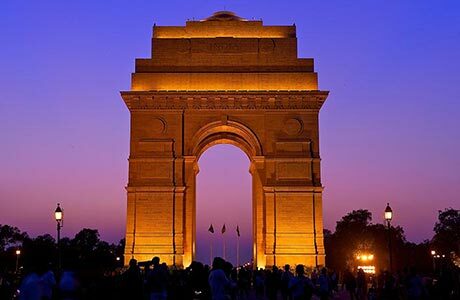 Now that you know Delhi city and its heritage, a free day is scheduled in Delhi for your delights in the capital of India. You can explore the city on your own or choose from multifarious options available in Delhi. Overnight in Delhi. 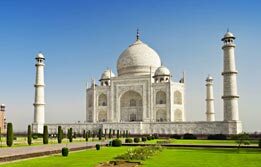 Begin the Day when you will be seeing the Taj Mahal via a drive to Agra in the morning. Enroute visit Sikandra, the tomb of Akbar the Great. Upon arrival in Agra; transfer to the hotel. Later live the moment of glory as you see the Taj Mahal and experience the emotion of eternal love, architectural brilliance and monumental grandeur, all summed up in the form of this legendary architectural icon. Built by Emperor Shah Jahan in memory of his beloved wife, Arjumand Al Bano or Mumtaz Mahal, this is one of the most visited attractions in India. Also visit Red Fort and Itmad-ud-Daulah, other Mughal attractions of the city Agra. Overnight in Agra, (Taj Mahal is closed on all Fridays). Morning is free for leisure. 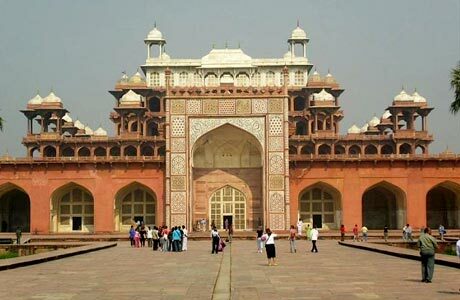 Morning Excursion tour of Fatehpur Sikri (37 km), a cherished and preserved Mughal icon of sixteenth century. Built by Emperor Akbar in 1569 and abandoned after 15 years due to scarcity of water, this city is one of the finest Mughal specimens in India. 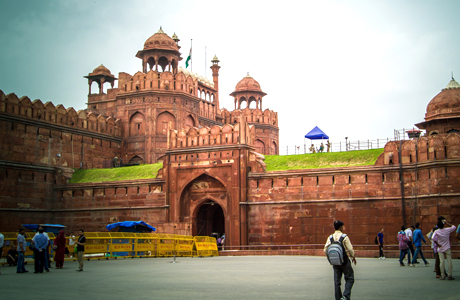 Built in red sandstone, this sprawling city is built over a huge area. See the graceful buildings including Jama Masjid, Tomb of Salim Chisti, Panch Mahal, Diwan E Khaas, Pachisi Mahal & other places. Later drive to Delhi (approx 203 km / 4 hrs. drive). On arrival, transfer to the hotel for overnight stay. 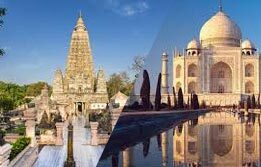 Transfer to the Delhi airport by car to board connecting flight back home as you reminisce the fantastic experience of See the Taj Mahal tour. English speaking guide at each place as per the itinerary at the time of sightseeing only.